Order your SKB 58 V Style Electric Guitar Case from AMS and enjoy 0% Interest Payment Plans, Free Shipping, Free Extended Warranty & 45 Day Money Back Guarantee. 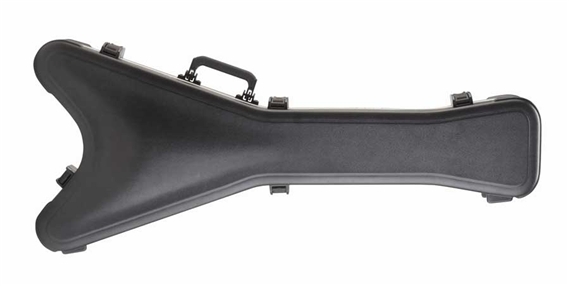 The SKB 58 Molded V Style Electric Guitar Case is the perfect fit for your beloved Flying V or other V Shaped Guitar. 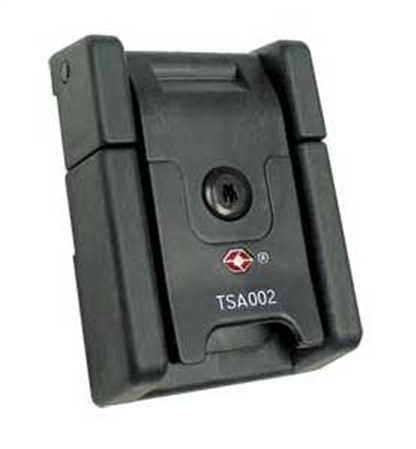 Don't leave home without it. 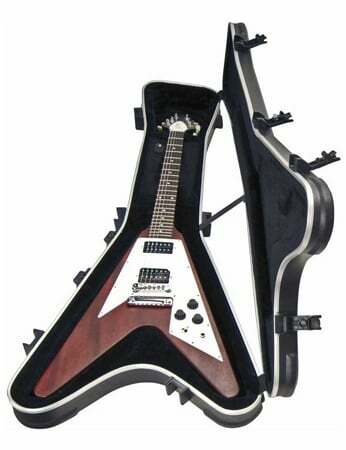 This case is distinctively shaped and designed to fit 1958 to present-day Flying V type guitars from various manufacturers including Gibson, Epiphone, Jackson, Dean, Ibanez, etc. This case features plush lining over a molded EPS foam interior to cradle the guitar and provide neck support and a convenient accessory compartment.